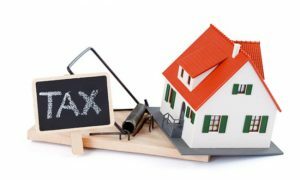 If tax jurisdictions raise property taxes, will real estate be a good investment? I received an observation and question from a subscriber. I have read that the states and municipalities in the U.S.A. plan to raise property taxes astronomically in the next 7 years. Obviously, this will effect property values and rents. Is real estate a good investment with this in mind? This is a common concern I hear about often. Here was my response. I edited for grammar and such (most of my responses are text to speech). 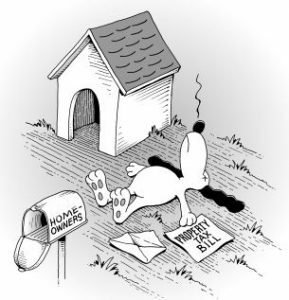 If we see how property taxes work (in the U.S.), we can get a better feel for understanding my response. There are two ways for tax jurisdictions to raise property taxes. The first one is to raise the millage rate. [The millage rate is the amount per $1,000 of assessed property value that is used to calculate local property taxes. Tax jurisdictions use millage rates to calculate the total jurisdiction’s local taxes to be collected based on a derivation of the total property value within the jurisdiction’s boundaries.] Each homeowner in that tax jurisdiction is responsible for their fraction of the total operating budget for that tax jurisdiction. The second way is to let the assessed values rise [via price appreciation] while keeping the millage rate the same. This is basically how most tax jurisdictions raise their tax revenue over time. The millage rate stays substantially the same while the assessed values rise. They tend to work in tandem with the tax jurisdiction’s need for cash for operations. In some desperate tax jurisdictions we read the articles about how property taxes are rising. That is performed through increasing the millage rate. I hear about this ad nauseam in the alt-financial media. These types of articles are enough to scare the crap out of anybody. That is done by design. Property values are indeed increasing. So are other types of cost of carry. I discussed this on my March 15th article. The central banks are going to work to increase asset prices. On the surface, this intimates that homeowners will be wealthier, at least on paper. The problem with higher real estate values comes higher costs of everything else. As real estate prices rise, property taxes rise. Insurance and rehab and repair costs also climb and pressure the costs of ownership. Rehab, permit, and construction costs get more expensive, because the local jurisdictions and states continually promulgate more zoning code. Licensing Laws and requirements for contractors continue to grow and their costs get passed on to the customer. On a simple level, it looks like real estate is a poor choice of an investment. However, the offsetting cash flow [rent roll] is rising at a steady clip. Since the Great Recession rents are up about 30% nationwide and in some areas up much higher. Cost of carry [ownership] may also be up 30% over the same time frame but from a lower base. So the absolute value of the rent roll has increased at a much greater amount than ownership costs. What I’m trying to get at is that our dollar cash flows have been rising at a much higher value than our costs like taxes. Eventually, only well-funded individuals will be able to remain in this game. The average over-extended homeowners with no offsetting rental income will struggle. Real estate values may rise, but many homeowners will no longer be able to afford to keep the property. Prudent investors can still make a lot of money. These investors need to understand the markets and also know how to rehab and self-manage the properties to keep costs contained. With respect to how rents will be affected by increases in property taxes; I know firsthand how rents respond. 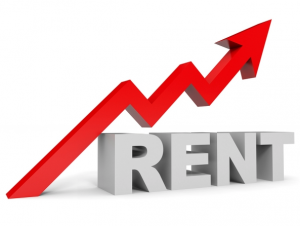 Rents have moved higher and will continue to climb as more people will no longer be able to afford the costs of home ownership. They will be forced to rent and as the stock of rental properties in working-class areas plateaus, rents will move higher. As time goes on, we may indeed see millage rates rise. I know Martin Armstrong talked about property values topping out with his “big bang” prediction for 2015 Q3. His thesis was based on higher bond yields and credit contraction. His concern was that property taxes would also have to rise to levels that would bankrupt all jurisdiction stake holders. This clearly has not happened, and I suspect as asset values rise over time, our tax liabilities will rise, even if the millage rates remain consistent. Federal Reserve monetary policy raises our taxes in many ways. By increasing our house prices, local jurisdictions can charge higher property taxes. Property taxes on my rentals are up by as much as 25% over the past five to six years while the millage rates are essentially the same. But the rental income or income potential is up by about 20%. On an absolute dollar basis, my net rental income has grown faster. The owner-occupied holder suffers, especially as SALT deductions are capped for federal income tax purposes. I write off all my taxes on my investment properties. Personally, I see prudent rental real estate ownership as the most effective way for Joe Six-pack to stay ahead of what is coming. Previous Previous post: Response to astonished subscriber; Didn’t Japanese real estate prices fall for over 30 years?